If you haven’t already seen my post about preparing for your maternity session, go check that out here! Scheduling a newborn photo session may get you all stressed out, especially if this is your first child or first time hiring a newborn photographer. I’ve compiled some helpful planning tips for you to take some of that stress away! Most importantly, please don’t wait until your baby is born to schedule your baby’s portrait session! Most posed newborn photos, such as those you’ll find on my website, are created when baby is between 5-10 days old. During this stage, your baby is more sleepy and easily molded into those womb-like poses that you adore! Scheduling during your second trimester will best ensure that I’ll have availability, and it gives us time to plan out a customized setup for your session. When you’re ready to schedule, you’ll receive a planning questionnaire which will help me style your session. We have an extensive collection of backdrops, props, and accessories! 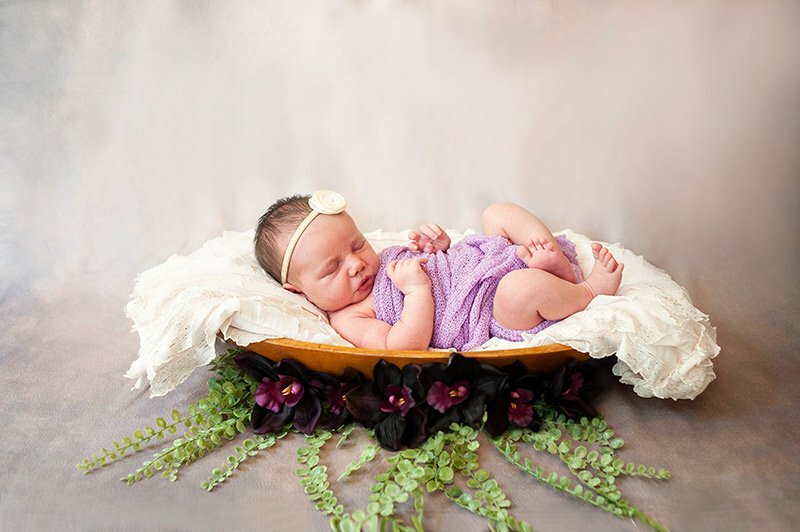 Newborn sessions take place in your home for the ease and comfort of both mom and baby. It’s best to have baby ready to eat when I arrive. That way, you can take your time feeding and cuddling while I setup. 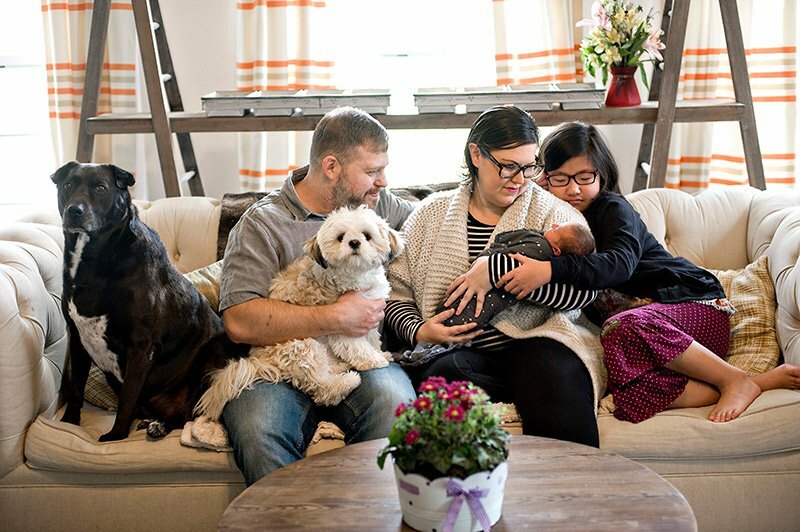 Once you’ve got baby settled, we’ll move into our setups, taking breaks as necessary to calm or feed baby. Your newborn session is meant to be a relaxing and enjoyable experience full of love and cuddles; therefore sessions typically take between 1.5-2 hours to complete. I recommend dressing comfortably in leggings and loose cotton shirts, always opting for soft neutral tones when possible. You are also welcome to wear something from our client closet; if you have selected this option, I will bring the outfit with me to your session. It’s normal to feel nervous about being photographed so soon after birth, but these images often become the most treasured over time. I will guide you into the most flattering poses, creating timeless images that focus on the love and connection between you and your baby. Want to know even more? We’ll walk through everything during your consultation once you’re scheduled. I’m here to help every step of the way. To schedule your session, jump on over here to begin a conversation!